Stay in touch with your customers using our user-friendly newsletter platform right from the webware dashboard. Easily add relevant content to your newsletter. When you're building your email newsletter, you can easily migrate content from Facebook, Instagram, Dropbox, Flickr, and more. 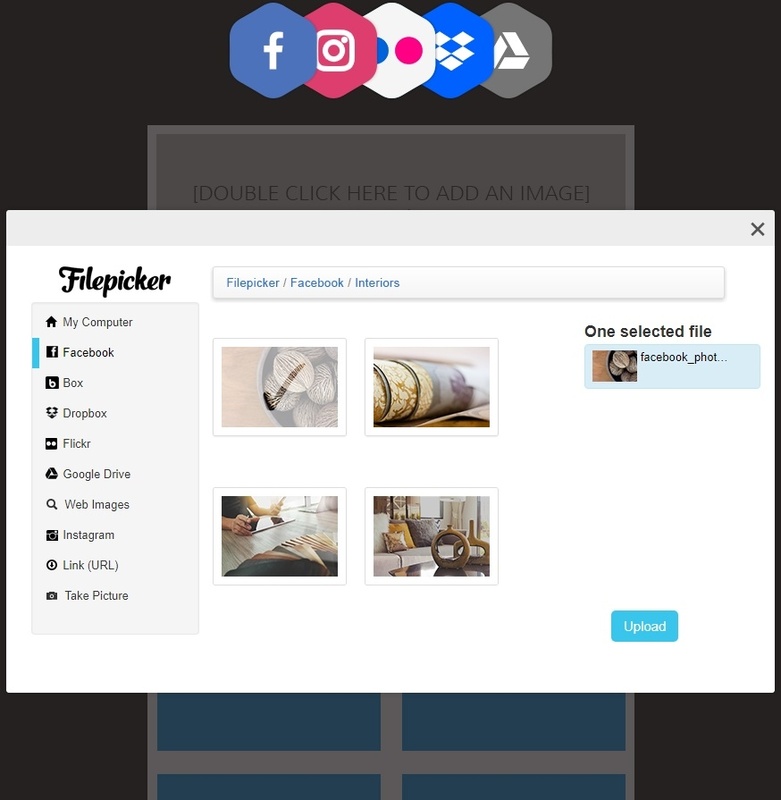 With Filepicker, it's a cinch to build a beautiful, informative newsletter for your customers. Webware's Newsletter platform provides simple and easy to use templates so you can start building your email newsletter today. They're designed to draw your customers attention to your blog posts, promotions and educational content so they can easily click on what's important to them. 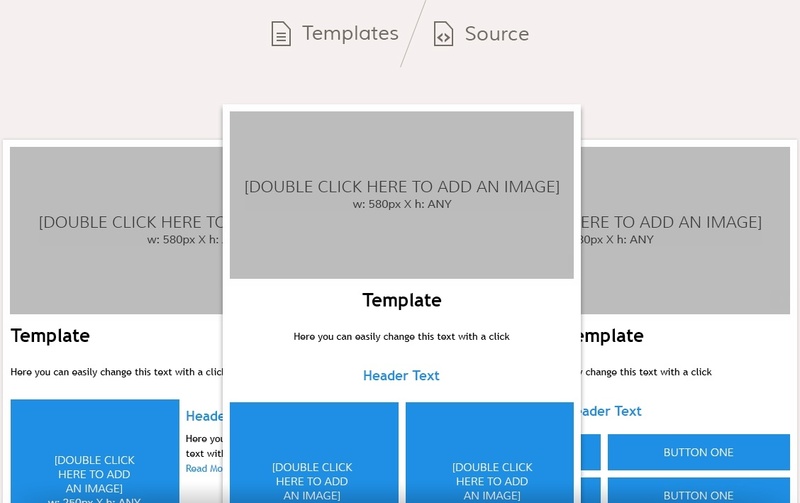 If you'd like to design your own email newsletter, our platform makes it easy to create your own newsletter format with click-and-drop content boxes. For even more customization, you can go into the source code for a totally unique email newsletter. 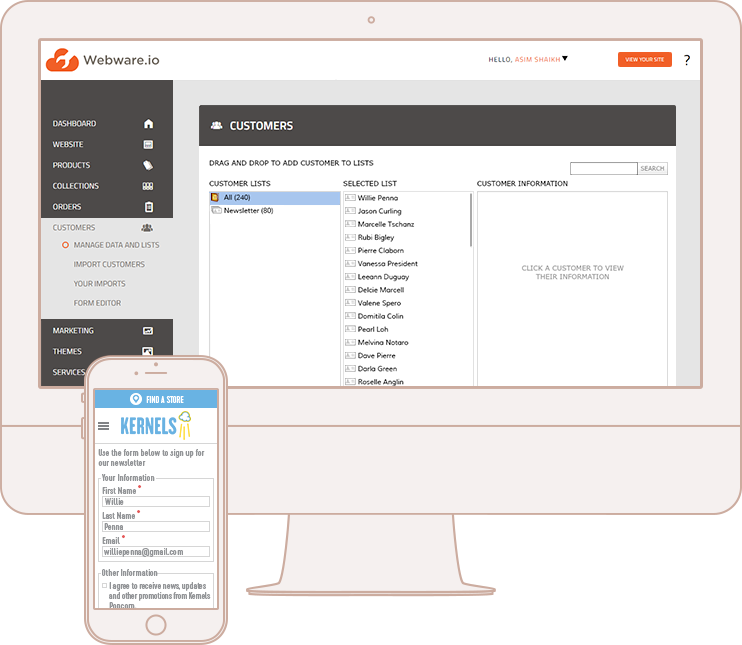 Easily manage customer information and create segmented lists to send your email newsletters and other communication to the right clients. Customers can easily sign up for your newsletter from your homepage and their information is automatically logged into the newsletter platform. 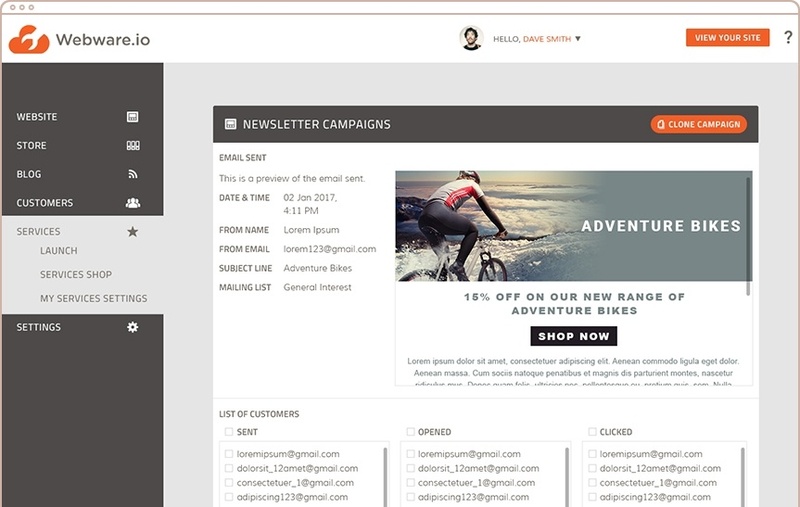 Create customer lists to send out emails based on customer preferences or test various newsletter formats. Know who's subscribed to your newsletters, add/remove customers, and make notes on each customer. 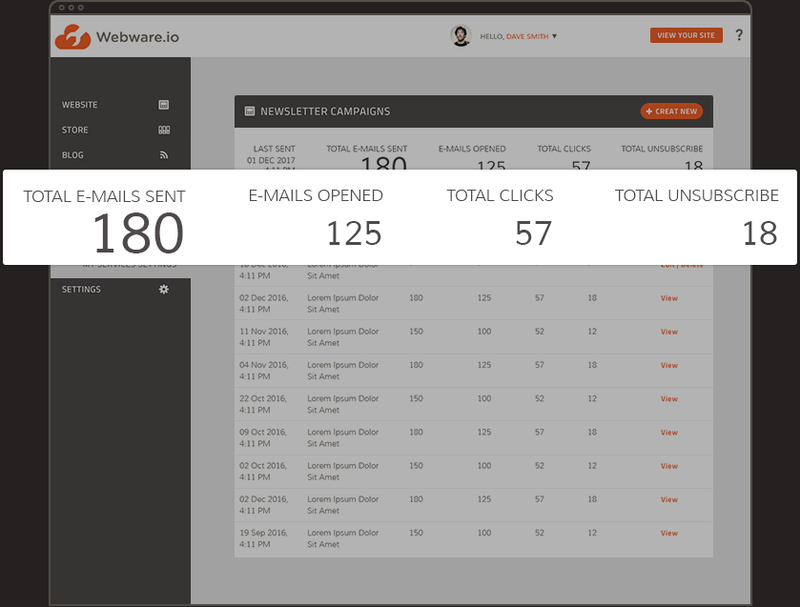 With Webware's Newsletter, it's simple to see if your newsletter is reaching clients and how effective it is. Easily keep track of how many people have opened your newsltter, clicked on the content in the email, or unsubscribed.